Serving 49 States and Growing! Reserve National began operations in 1956, initially confining its business to Oklahoma. 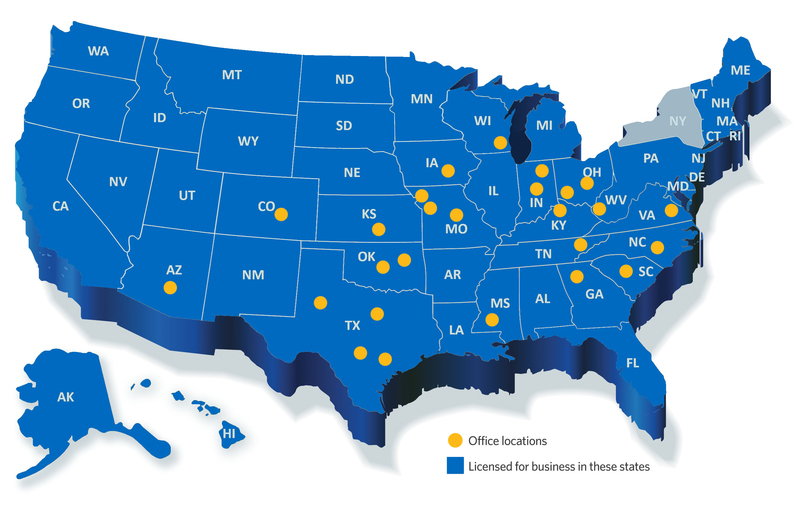 Today we are licensed in 49 states and the District of Columbia and operate out of Regional Offices, plus Branch, District and Field Development locations.